Puree shallots, lemongrass, garlic, ginger and cilantro stems in blender with curry paste, sugar, salt, turmeric powder, and water until as smooth as possible (about 1 minute). 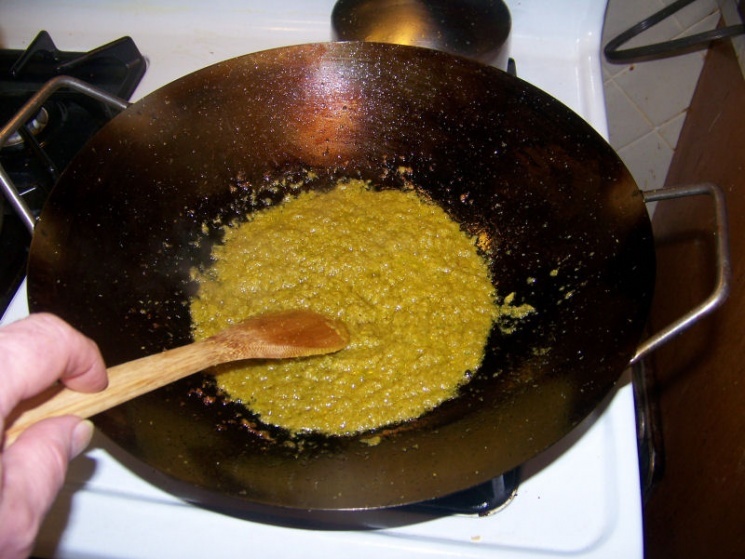 Heat oil in a wide heavy pot over moderate heat until hot but not smoking, then cook curry paste mixture, stirring frequently, until it just begins to stick to bottom of pot (8 to 10 minutes). Add coconut milk and broth and simmer, uncovered, stirring occasionally, until reduced to about 3 2/3 cups (8 to 10 minutes). While sauce simmers, cook noodles in a pot of boiling salted water, uncovered, stirring occasionally, until tender (4 to 6 minutes). Drain in a colander and rinse under cold water. Drain noodles well and divide among 4 large bowls. Add shrimp to sauce and simmer, stirring, until just cooked through. Remove from heat and ladle over noodles. Serve and enjoy! "Khawp Koon Khrawp" for sending me your wonderful recipes! Today, we had the Thai Green Shrimp with Noddles for dinner. Another wonderful meal!!! I have to cook it again for a friend next week. 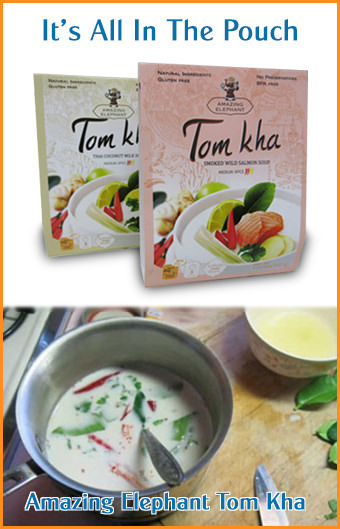 After arrival of the fresh Galangal, and the Thai chiles I ordered recently, our Thai meals will be even better. I appreciate your suggestions. I cook 5 meals a week for 20 young college men and they love the addition of curry to my menus. Made this tonight with one substitute...I couldn't find any lemon grass and in the produce dept of our store, there was lemon grass in a tube. Used double the strength and the dish came out wonderful. Great dish to make and everyone thought I spent hours in the kitchen! This was very disappointing... the sauce was very bland and oily. My family found this surprising given the number of excellent dishes we have made using the recipes here. 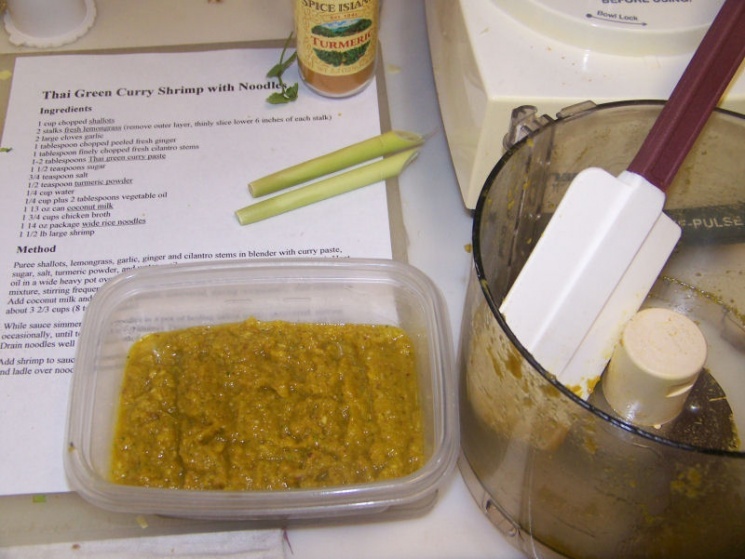 The recipe calls for, in essence, you to make curry paste (lemongrass, shallots, garlic, ginger, etc) although it calls for adding canned green curry paste. If you want a green curry sauce, I would strongly suggest using this recipe: Thai green curry with chicken & eggplant, "Gaeng khiao wan gai". 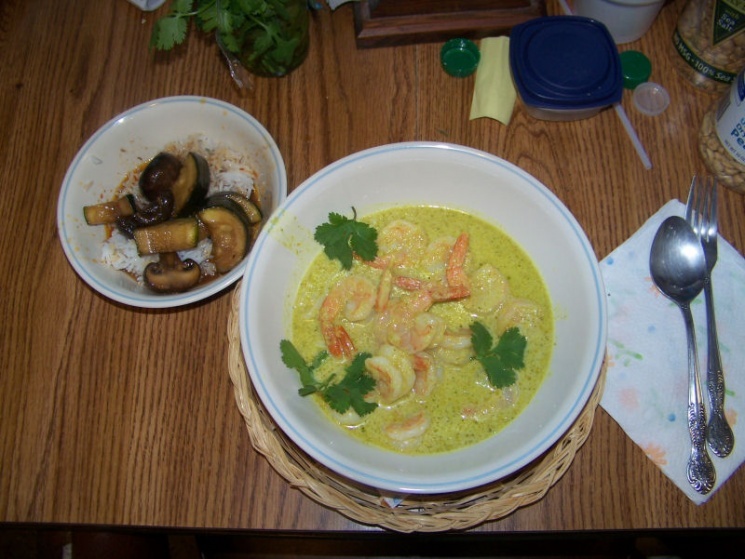 I tried the same recipe with red curry; turned out amazing as well. I think next time I'm going to throw in a few chiles to spice it up a bit more. I veganized this recipe and substituted out shrimp for tofu. This tasted absolutely wonderful! Great recipe and will definitely make again. I can't wait to try...I LOVE THAI FOOD!!! I had a friend years ago that taught me many Thai recipes, but I am ready for some news ones!